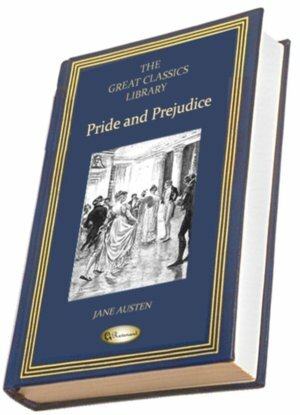 At least two memoirs exist from Austen's own family members: Memoir of Jane Austen, by James Edward Austen-Leigh, and Jane Austen, Her Life and Letters, by William Austen-Leigh and Richard Arthur Austen-Leigh (the latter drawing in large part from the former). These are filled with vivid descriptions of Austen and her circle, and the second includes extensive selections from her surviving letters, which are quoted in a separate section below. "James has chosen a second wife in the person of Miss Mary Lloyd, who is not either rich or handsome, but very sensible and good humoured.�.�.�. Jane seems much pleased with the match, and it is natural she should, having long known and liked the lady." "Cassandra had the merit of having her temper always under command, but that Jane had the happiness of a temper which never required to be commanded." She must, one would think, have had in her mind her brother Charles�as he had been twelve or fourteen years earlier�when she drew so charming a sketch of a young sailor in William Price. [Henry Austen] began by making use of his former classical knowledge to take up a serious study of the New Testament in the original language. He seems to have been in advance of his age in this respect; for when he went to be examined by the Bishop, that dignitary, after asking him such questions as he thought desirable, put his hand on a book which lay near him on the table, and which happened to be a Greek Testament, and said: 'As for this book, Mr. Austen, I dare say it is some years since either you or I looked into it." I never heard of his equal, nor do I expect again to see such a man. To the soundest judgment he united prompt decision and speedy execution of his plans; and he possessed in a superior degree the happy talent of making every class of persons pleased with their situation, and eager to exert themselves in forwarding the public service. "The youngest [Jane] is very like her brother Henry, not at all pretty and very prim, unlike a girl of twelve.......The more I see of Cassandra the more I admire [her]. Jane is whimsical and affected." The talent and liveliness which she would show, if ever she had an opportunity of acting herself, may be imagined. The late Sir William Heathcote is said to have remembered being with her at a Twelfth Night party when he was a little boy, on which occasion she, having drawn the part of Mrs. Candour, acted it with appreciation and spirit. ...leaving Jane with her parents at Lyme. We have it on record that Jane loved the sight of the beauties of nature so much that she would sometimes say she thought it must form one of the joys of heaven; but she had few opportunities of visiting any scenes of especial beauty. We need not therefore be surprised that the impression produced by Lyme was so great that she retained a vivid and accurate memory of the details eleven years afterwards. Hers was a mind well balanced on a basis of good sense, sweetened by an affectionate heart, and regulated by fixed principles; so that she was to be distinguished from many other amiable and sensible women only by that peculiar genius which shines out clearly . . . in her works. We learn something of her process from an eyewitness, her niece Marianne Knight, who related her childish remembrances of her aunt not very many years ago. 'Aunt Jane,'she said, 'would sit very quietly at work beside the fire in the Godmersham library, then suddenly burst out laughing, jump up, cross the room to a distant table with papers lying upon it, write something down, returning presently and sitting down quietly to her work again.' She also remembered how her aunt would take the elder girls into an upstairs room and read to them something that produced peals of laughter, to which the little ones on the wrong side of the door listened, thinking it very hard that they should be shut out from hearing what was so delightful! The laughter may have been the result of the second novel then published, for there is an entry in Fanny Knight's diary: 'We finished Pride and Prejudice'; or it may have been caused by a first introduction to Aunt Norris and Lady Bertram. Happy indeed were those who could hear their creator make her characters 'speak as they ought.' The dramatic element in her works is so strong that for complete enjoyment on a first acquaintance it is almost indispensable that they should be read aloud by some person capable of doing them justice. She had this power herself, according to the concurrent testimony of those who heard her, and she handed it on to her nephew,the author of the Memoir. How intensely Jane loved and admired her is shown by some lines which she wrote on December 16, 1808--the anniversary both of her own birth and of the sudden death of her friend, killed by a fall from her horse in 1804. It has sometimes been assumed that the self-restraint in expressions of affection to be found throughout Jane's published writings, and the self-control they display in matters of emotion, arises from the fact that in the writer's nature there were no very ardent affections to be restrained, and no overpowering emotions to be suppressed. These lines [quoted in the original] show the baselessness of such an assumption. "Cassandra and Jane are both very much grown (the latter is now taller than myself), and greatly improved as well in manners as in person, both of which are now much more formed than when you saw them. They are I think equally sensible and both so to a degree seldom met with, but still my heart gives the preference to Jane, whose kind partiality to me indeed requires a return of the same nature." "A friend of mine who visits her now, says that she has stiffened into the most perpendicular, precise, taciturn piece of 'single blessedness' that ever existed, and that, till Pride and Prejudice showed what a precious gem was hidden in that unbending case, she was no more regarded in society than a poker or a fire-screen, or any other thin, upright piece of wood or iron that fills the corner in peace and quietness. The case is very different now: she is still a poker--but a poker of whom every one is afraid. It must be confessed that this silent observation from such an observer is rather formidable." "The next day we walked over to Chawton to make enquiries after our aunt. She was then keeping her room, but said she would see us, and we went up to her. She was in her dressing-gown, and was sitting quite like an invalid in an arm-chair, but she got up and kindly greeted us, and then, pointing to seats which had been arranged for us by the fire, she said 'There is a chair for the married lady, and a little stool for you, Caroline.' It is strange, but those trifling words were the last of hers that I can remember, for I retain no recollection of what was said by anyone in the conversation that ensued. I was struck by the alteration in herself. She was very pale, her voice was weak and low, and there was about her a general appearance of debility and suffering; but I have been told that she never had much acute pain. She was not equal to the exertion of talking to us, and our visit to the sick room was a very short one, Aunt Cassandra soon taking us away. I do not suppose we stayed a quarter of an hour; and I never saw Aunt Jane again." In September 28 there is the following entry in Fanny Austen's diary: 'Letter from At. Cass to beg we would not mention that Aunt Jane wrote Sense and Sensibility.' This looks as if it were still on the eve of publication, and it was not in fact advertised until October. Sometimes the niece would skim over new novels at the Alton Library, and reproduce them with wilful exaggeration. On one occasion she threw down a novel on the counter with contempt, saying she knew it must be rubbish from its name. The name was Sense and Sensibility--the secret of which had been strictly kept, even from her. Jane Austen's literary work was done mainly in the general sitting-room: liable at any moment to be interrupted by servants, children, or visitors�to none of whom had been entrusted the secret of her authorship. Her small sheets of paper could easily be put away or covered with blotting-paper, whenever the creaking swing-door (which she valued for that reason) gave notice that anyone was coming. Anna was a very intelligent, quick-witted child, and, hearing the original draft of Pride and Prejudice read aloud by its youthful writer to her sister, she caught up the names of the characters and repeated them so much downstairs that she had to be checked; for the composition of the story was still a secret kept from the knowledge of the elders. We must also remember that the correspondence was between sisters who knew, each of them, what the other was thinking, and could feel sure that nothing one might say would be misapprehended by the other; and the sort of freemasonry which results from such a situation adds to the difficulty of perfect comprehension by outsiders. Jane, too, was a mistress of subtle irony: the inveterate playfulness which is constantly cropping up in her books appears also in her letters. Secure of her correspondent, she could pass criticisms, impute motives, and imagine circumstances which would have been very far from her nature had she thought it possible that any less perfectly informed third person couldsee them. At least Jane did not, like Willa Cather, systematically retrieve and destroy the greater part of her own correspondance, and many riches remain. The earliest of Jane's letters which have survived date from the year 1796. They begin at Steventon in the middle of their winter engagements, and when Tom Lefroy was in the foreground. I do not undertake to be good to her children. She had better not leave any. Mr. Richard Harvey is going to be married; but as it is a great secret, and only known to half the neighbourhood, you must not mention it. I shall be able to send this to the post to-day, which exalts me to the utmost pinnacle of human felicity, and makes me bask in the sunshine of prosperity, or gives me any other sensation of pleasure in studied language which you may prefer. Staffordshire is a good way off; so we shall see nothing more of them till, some fifteen years hence, the Miss Coopers are presented to us, fine, jolly, handsome, ignorant girls. People were rather apt not to ask me till they could not help it; one's consequence, you know, varies so much at times without any particular reason. There was one gentleman, an officer of the Cheshire, a very good-looking young man, who, I was told, wanted very much to be introduced to me; but as he did not want it quite enough to take much trouble in effecting it, we never could bring it about. The little flaw of having a mistress now living with him at Ashdown Park seems to be the only unpleasing circumstance about him. We had charming weather, hardly any dust, and were exceedingly agreeable, as we did not speak above once in three miles. I should like to see Miss Burdett very well, but that I am rather frightened by hearing that she wishes to be introduced to me. If I am a wild beast I cannot help it. It is not my own fault. It gives us great pleasure to know that the Chilham ball was so agreeable, and that you danced four dances with Mr. Kemble. Desirable, however, as the latter circumstance was, I cannot help wondering at its taking place. Why did you dance four dances with so stupid a man? You have never thanked me for my last letter, which went by the cheese. I cannot bear not to be thanked. She has an idea of your being remarkably lively, therefore get ready the proper selection of adverbs and due scraps of Italian and French. He was married at Clifton to a Miss Lewis, whose father had been late of Antigua. I should very much like to know what sort of a woman she is. He was a piece of perfection--noisy perfection--himself, which I always recollect with regard. ..... I could wish Miss Lewis to be of a silent turn and rather ignorant, but naturally intelligent and wishing to learn, fond of cold veal pies, green tea in the afternoon, and a green window-blind at night. She wore her purple muslin, which is pretty enough, though it does not become her complexion. There are two traits in her character which are pleasing�namely, she admires Camilla, and drinks no cream in her tea. She appeared exactly as she did in September, with the same broad face, diamond bandeau, white shoes, pink husband, and fat neck. The two Miss Coxes were there; I traced in one the remains of the vulgar, broad-featured girl who danced at Enham eight years ago; the other is refined into a nice, composed-looking girl, like Catherine Bigg. I looked at Sir Thomas Champneys and thought of poor Rosalie; I looked at his daughter, and thought her a queer animal with a white neck. She is not so pretty as I expected; her face has the same defect of baldness as her sister's, and her features not so handsome; she was highly rouged, and looked rather quietly and contentedly silly than anything else. I cannot anyhow continue to find people agreeable; I respect Mrs. Chamberlayne for doing her hair well, but cannot feel a more tender sentiment. Miss Langley is like any other short girl, with a broad nose and wide mouth, fashionable dress and exposed bosom. Adm. Stanhope is a gentlemanlike man, but then his legs are too short and his tail too long. The Miss Ballards are said to be remarkably well-informed; their manners are unaffected and pleasing, but they do not talk quite freely enough to be agreeable, nor can I discover any right they had by taste or feeling to go their late tour. Had I chosen to stay longer [I] might have danced with ... a new odd-looking man who had been eyeing me for some time, and at last, without any introduction, asked me if I meant to dance again. I think he must be Irish by his ease, and because I imagine him to belong to the hon[orable] B. 's, who are the son, and son's wife of an Irish viscount, bold queer-looking people, just fit to be quality at Lyme. Like other young ladies she is considerably genteeler than her parents.... she is very converseable in a common way; I do not perceive wit or genius, but she has sense and some degree of taste, and her manners are very engaging. She seems to like people rather too easily. Poor Mrs. Stent! it has been her lot to be always in the way; but we must be merciful, for perhaps in time we may come to be Mrs. Stents ourselves, unequal to anything, and unwelcome to everybody. Owing to a difference of clocks the coachman did not bring the carriage so soon as he ought by half an hour; anything like a breach of punctuality was a great offence, and Mr. Moore was very angry, which I was rather glad of. He came back in time to show his usual nothing-meaning, harmless, heartless civility. She is a poor honey� the sort of woman who gives me the idea of being determined never to be well and who likes her spasms and nervousness, and the consequence they give her, better than anything else. I like the mother�first, because she reminds me of Mrs. Birch; and, secondly, because she is cheerful and grateful for what she is at the age of ninety and upwards. She is a large, ungenteel woman, with self- satisfied and would-be elegant manners. We saw a countless number of post-chaises full of boys pass by yesterday morning�full of future heroes, legislators, fools, and villains. I return to my letter-writing from calling on Miss Harriot Webb, who is short and not quite straight and cannot pronounce an r any better any better than her sisters; but she has dark hair, a complexion to suit, and, I think, has the pleasantest countenance and manner of the three--the most natural. The Miss M.'s were as civil and as silly as usual. There were two pools at commerce, but I would not play more than one, for the stake was three shillings, and I cannot afford to lose that twice in an evening. Lansdown. This morning we have been to see Miss Chamberlayne look hot on horseback. Seven years and four months ago we went to the same riding-house to see Miss Lefroy's performance! What a different set are we now moving in! The Manydown ball was a smaller thing than I expected, but it seems to have made Anna very happy. At her age it would not have done for me. One of my gayest actions was actions was sitting down two dances in preference to having Lord Bolton's eldest son for my partner, who danced too ill to be endured. The Miss Charterises were there, and played the parts of the Miss Edens with great spirit. Mary and I, after disposing of her father and mother, went to the Liverpool Museum and the British Gallery, and I had some amusement at each, though my preference for men and women always inclines me to attend more to the company than the sight. Our first object to-day was Henrietta St., to consult with Henry in consequence of a very unlucky change of the play for this very night� Hamlet instead of King John� and we are to go on Monday to Macbeth instead; but it is a disappointment to us both. They revelled last night in Don Juan, whom we left in hell at half-past eleven. We had scaramouch and a ghost, and were delighted. I speak of them; my delight was very tranquil, and the rest of us were sober-minded. We were quite satisfied with Kean. I cannot imagine better acting, but the part was too short; and, excepting him and Miss Smith, and she did not quite answer my expectation, the parts were ill filled and the play heavy. S[tephens], and her merit in singing is, I dare say, very great; that she gave me no pleasure is no reflection upon her, nor, I hope, upon myself, being what Nature made me on that article. All that I am sensible of in Miss S. is a pleasing person and no skill in acting. The Clandestine Marriage was the most respectable of the performances, the rest were sing-song and trumpery; but it did very well for Lizzie and Marianne, who were indeed delighted, but I wanted better acting. I do not think she was quite equal to my expectations. I fancy I want something more than can be. I took two pocket-handkerchiefs, but had very little occasion for either. She is an elegant creature, however, and hugs Mr. Young delightfully. Our ball was very thin, but by no means unpleasant. There were thirty-one people, and only eleven ladies out of the number, and but five single women in the room. Of the gentlemen present you may have some idea from the list of my partners--... Mr. Temple (not the horrid one of all), ... and Mr. Calland, who appeared as usual with his hat in his hand, and stood every now and then behind Catherine and me to be talked to and abused for not dancing. We teased him, however, into it at last. I was very glad to see him again after so long a separation, and he was altogether rather the genius and flirt of the evening. He enquired after you. There were twenty dances, and I danced them all, and without any fatigue. I was glad to find myself capable of dancing so much, and with so much satisfaction as I did; from my slender enjoyment of the Ashford balls (as assemblies for dancing) I had not thought myself equal to it, but in cold weather and with few couples I fancy I could just as well dance for a week together as for half an hour. My black cap was openly admired by Mrs. Lefroy, and secretly I imagine by everybody else in the room. I enjoyed Edward's company very much, as I said before, and yet I was not sorry when Friday came. It had been a busy week, and I wanted a few days' quiet and exemption from the thought and contrivancy which any sort of company gives. It was the same room in which we danced fifteen years ago. I thought it all over, and in spite of the shame of being so much older, felt with thankfulness that I was quite as happy now as then. 'A pleasing-looking young woman'�that must do; one cannot pretend to anything better now; thankful to have it continued a few years longer! By-the-bye, as I must leave off being young, I find many douceurs in being a sort of chaperon, for I am put on the sofa near the fire, and can drink as much wine as I like. I have a great respect for former Sweden, so zealous as it was for Protestantism. And I have always fancied it more like England than other countries; and, according to the map, many of the names have a strong resemblance to the English. He is come back from France, thinking of the French as one could wish�disappointed in everything. He did not go beyond Paris. Had her first marriage been one of affection, or had there been a grown-up daughter, I should not have forgiven her; but I consider everybody as having a right to marry once in their lives for love, if they can, and provided she will now leave off having bad headaches and being pathetic, I can allow her, I can wish her, to be happy. Single women have a dreadful propensity for being poor, which is one very strong argument in favour of matrimony, but I need not dwell on such arguments with you, pretty dear. Such letters, such entertaining letters, as you have lately sent! such a description of your queer little heart! such a lovely display of what imagination does! You are worth your weight in gold, or even in the new silver coinage. Sickness is a dangerous indulgence at my time of life. Evening.�I was languid and dull and very bad company when I wrote the above; I am better now, to my own feelings at least, and wish I may be more agreeable. My attendant is encouraging, and talks of making me quite well. I live chiefly on the sofa, but am allowed to walk from one room to the other. I have been out once in a Sedan- chair, and am to repeat it, and be promoted to a wheel-chair as the weather serves. I always take care to provide such things as please my own appetite, which I consider as the chief merit in housekeeping. I have had some ragout veal, and I mean to have some haricot mutton to-morrow. We are to kill a pig soon. ...some pease-soup, a sparerib, and a pudding. ...follows breakfast, consisting of chocolate, coffee, and tea, plum cake, pound cake, hot rolls, cold rolls, bread and butter, and dry toast for me. I enjoyed the hard black frosts of last week very much, and one day while they lasted walked to Deane by myself. Our plan is to have a nice black frost for walking to Whitchurch, and then throw ourselves into a post chaise, one upon the other, our heads hanging out at one door and our feet at the opposite one. The first view of Bath in fine weather does not answer my expectations; I think I see more distinctly through rain. The sun was got behind everything, and the appearance of the place from the top of Kingsdown was all vapour, shadow, smoke, and confusion. There, I flatter myself I have constructed you a smartish letter, considering my want of materials, but, like my dear Dr. Johnson, I believe I have dealt more in notions than facts. He has more of Cowper than of Johnson in him� fonder of tame hares and blank verse than of the full tide of human existence at Charing Cross. We have got Fitz-Albini; my father has bought it against my private wishes, for it does not quite satisfy my feelings that we should purchase the only one of Egerton's works of which his family are ashamed. That these scruples, however, do not at all interfere with my reading it, you will easily believe. We have neither of us yet finished the first volume. My father is disappointed�I am not, for I expected nothing better. Never did any book carry more internal evidence of its author. Every sentiment is completely Egerton's. There is very little story, and what there is is told in a strange, unconnected way. There are many characters introduced, apparently merely to be delineated. How good Mrs. West could have written such books and collected so many hard words, with all her family cares, is still more a matter of astonishment. Composition seems to me impossible with a head full of joints of mutton and doses of rhubarb. The man describes well, but is horribly anti-English. He deserves to be the foreigner he assumes. Ida of Athens, by Miss Owenson, which must be very clever, because it was written, as the authoress says, in three months. We have only read the preface yet, but her Irish Girl does not make me expect much. Pictures of perfection, as you know, make me sick and wicked; but there is some very good sense in what he says, and I particularly respect him for wishing to think well of all young ladies; it shows an amiable and a delicate mind. She really does seem to admire Elizabeth. I must confess that I think her as delightful a creature as ever appeared in print, and how I shall be able to tolerate those who do not like her at least I do not know. I was previously aware of what I should be laying myself open to; but the truth is that the secret has spread so far as to be scarcely the shadow of a secret now, and that, I believe, whenever the third appears, I shall not even attempt to tell lies about it. I shall rather try to make all the money than all the mystery I can of it. People shall pay for their knowledge if I can make them. Henry heard P. and P. warmly praised in Scotland by Lady Robert Kerr and another lady; and what does he do, in the warmth of his brotherly vanity and love, but immediately tell them who wrote it? A thing once set going in that way--one knows how it spreads, and he, dear creature, has set it going so much more than once. ..... After all, what a trifle it is, in all its bearings, to the really important points of one's existence, even in this world. Her liking Darcy and Elizabeth is enough. She might hate all the others if she would. Upon the whole, however, I am quite vain enough and well-satisfied enough. The work [Pride and Prejudice] is rather too light, and bright, and sparkling; it wants shade; it wants to be stretched out here and there with a long chapter of sense, if it could be had; if not, of solemn specious nonsense, about something unconnected with the story; an essay on writing, a critique on Walter Scott, or the history of Buonaparte, or anything that would form a contrast, and bring the reader with increased delight to the playfulness and epigrammatism of the general style. Captain F. Austen liked [Emma] extremely, observing that though there might be more wit in P. and P. and an higher morality in M. P., yet altogether, on account of its peculiar air of Nature throughout, he preferred it to either. Henry has this moment said that he likes my M. P. better and better; he is in the third volume. I believe now he has changed his mind as to foreseeing the end; he said yesterday, at least, that he defied anybody to say whether H. C. would be reformed, or would forget Fanny in a fortnight. In addition to their standing claims on me they admire Mansfield Park exceedingly. Mr. Cooke says 'it is the most sensible novel he ever read,' and the manner in which I treat the clergy delights them very much. Miss D. has a great idea of being Fanny Price�she and her youngest sister together, who is named Fanny. The politeness and perspicuity of your letter equally claim my earliest exertion. Your official opinion of the merits of Emma is very valuable and satisfactory. It encourages me to depend on the same share of general good opinion which "Emma's" predecessors have experienced, and to believe that I have not yet, as almost every writer of fancy does sooner or later, overwritten myself. Two chapters and a half to be missing is monstrous! It is well that I have not been at Steventon lately, and therefore cannot be suspected of purloining them: two strong twigs and a half towards towards a nest of my own would have been something. I do not think, however, that any theft of that sort would be really very useful to me. What should I do with your strong, manly, spirited sketches, full of variety and glow? How could I possibly join them on to the little bit (two inches wide) of ivory on which I work with so fine a brush, as produces little effect after much labour? You will be glad to hear that every copy of S. and S. is sold, and that it has brought me �140, besides the copyright, if that should ever be of any value. I have now, therefore, written myself into �250, which only makes me long for more. Profits of my novels, over and above the �600 in the Navy Fives. March 7, 1817. From Egerton--2nd edit. of _S. Miss Hare had some pretty caps, and is to make me one like one of them, only white satin instead of blue. It will be white satin and lace, and a little white flower perking out of the left ear, like Harriot Byron's feather. I have allowed her to go as far as �1 16s. My gown is to be trimmed everywhere with white ribbon plaited on somehow or other. She says it will look well. I am not sanguine. They trim with white very much. I have been listening to dreadful insanity. It is Mr. Haden's firm belief that a person not musical is fit for every sort of wickedness. I ventured to assert a little on the other side, but wished the cause in abler hands. My dear Anna,�I am very much obliged to you for sending your MS. It has entertained me extremely; all of us, indeed. I read it aloud to your Grandmama and Aunt Cass, and we were all very much pleased. The spirit does not droop at all. I think we are just the kind of people and party to be treated about among our relations; we cannot be supposed to be very rich. What is become of all the shyness in the world? Moral as well as natural diseases disappear in the progress of time, and new ones take their place. Shyness and the sweating sickness have given way to confidence and paralytic complaints. Frank has got a very bad cough, for an Austen; but it does not disable him from making very nice fringe for the drawing-room curtains. Wednesday.�I sent my answer by them [the Moores] to Mrs. Knight; my double acceptance of her note and her invitation, which I wrote without effort, for I am rich, and the rich are always respectable, whatever be their style of writing. Authors are subject to suggestions, and Austen, surrounded by a broad circle of family and friends, was no exception. Here was her (global) response. Had she followed all the advice given her by her friends, she would have produced something very different from either Northanger Abbey or Persuasion. It must have been in the course of the year 1816 that she drew up the following 'plan of a novel, according to hints from various quarters,' adding below the names of the friends who gave the hints. Scene to be in the country. Heroine, the daughter of a clergyman: one who, after having lived much in the world, had retired from it, and settled on a curacy with a very small fortune of his own. He, the most excellent man that can be imagined, perfect in character, temper, and manners, without the smallest drawback or peculiarity to prevent his being the most delightful companion to his daughter from one year's end to the other. Heroine, a faultless character herself, perfectly good, with much tenderness and sentiment and not the least wit, very highly accomplished, understanding modern languages, and (generally speaking) everything that the most accomplished young women learn, but particularly excelling in music--her favourite pursuit--and playing equally well on the pianoforte and harp, and singing in the first style. Her person quite beautiful, dark eyes and plump cheeks. Book to open with the description of father and daughter, who are to converse in long speeches, elegant language, and a tone of high serious sentiment. The father to be induced, at his daughter's earnest request, to relate to her the past events of his life. This narrative will reach through the greater part of the first volume; as besides all the circumstances of his attachment to her mother, and their marriage, it will comprehend his going to sea as chaplain to a distinguished naval character about the Court; his going afterwards to Court himself, which introduced him to a great variety of characters and involved him in many interesting situations, concluding with his opinion of the benefits of tithes being done away, and his having buried his own mother (heroine's lamented grandmother) in consequence of the High Priest of the parish in which she died refusing to pay her remains the respect due to them. The father to be of a very literary turn, an enthusiast in literature, nobody's enemy but his own; at the same time most zealous in the discharge of his pastoral duties, the model of an exemplary parish priest. The heroine's friendship to be sought after by a young woman in the same neighbourhood, of talents and shrewdness, with light eyes and a fair skin, but having a considerable degree of wit; heroine shall shrink from the acquaintance. From this outset the story will proceed and contain a striking variety of adventures. Heroine and her father never above a fortnight together in one place: he being driven from his curacy by the vile arts of some totally unprincipled and heartless young man, desperately in love with the heroine, and pursuing her with unrelenting passion. No sooner settled in one country of Europe than they are necessitated to quit it and retire to another, always making new acquaintance, and always obliged to leave them. This will, of course, exhibit a wide variety of characters, but there will be no mixture. The scene will be for ever shifting from one set of people to another; but all the goodwill be unexceptionable in every respect, and there will be no foibles or weaknesses but with the wicked, who will be completely depraved and infamous, hardly a resemblance of humanity left in them. Early in her career, in the progress of her first removal, heroine must meet with the hero--all perfection, of course, and only prevented from paying his addresses to her by some excess of refinement. Wherever she goes somebody falls in love with her, and she receives repeated offers of marriage, which she always refers wholly to her father, exceedingly angry that heshould not be first applied to. Often carried away by the anti-hero, but rescued either by her father or the hero. Often reduced to support herself and her father by her talents, and work for her bread; continually cheated and defrauded of her hire; worn down to a skeleton, and now and then starved to death. At last, hunted out of civilised society, denied the poor shelter of the humblest cottage, they are compelled to retreat into Kamschatka, where the poor father, quite worn down, finding his end approaching, throws himself on the ground, and, after four or five hours of tender advice and parental admonition to his miserable child, expires in a fine burst of literary enthusiasm, intermingled with invectives against holders of tithes. Heroine inconsolable for some time, but afterwards crawls back towards her former country, having at least twenty narrow escapes of falling into the hands of anti-hero; and at last, in the very nick of time, turning a corner to avoid him, runs into the arms of the hero himself, who, having just shaken off the scruples which fettered him before, was at the very moment setting off in pursuit of her. The tenderest and completest �claircissement takes place, and they are happily united. Throughout the whole work heroine to be in the most elegant society, and living in high style. The name of the work not to be Emma, but of same sort as Sense and Sensibility and Pride and Prejudice. The following excerpts are from a curious exchange of a type that nonetheless may be familiar to modern writers - a writer dealing with a "fan's" demands - or even fantasies. In this case, we get a good look at Austen's tact (and sly wit), since she was obliged to avoid offending an otherwise importunate correspondant. Whatever his personal vanities, he was the Prince Regent's librarian, Mr. Clarke (a clergyman), and their exchanges began with his passing on permission for Austen to dedicate a work to the Regent, and with her attempting to clarify her leeway in this. The excerpts which follow, however, are on very different subjects. Neither Goldsmith, nor La Fontaine in his Tableau de Famille, have in my mind quite delineated an English clergyman, at least of the present day, fond of and entirely engaged in literature, no man's enemy but his own. Pray, dear Madam, think of these things. I am quite honoured by your thinking me capable of drawing such a clergyman as you gave the sketch of in your note of November 16th. But I assure you I am not. The comic part of the character I might be equal to, but not the good, the enthusiastic, the literary. Such a man's conversation must at times be on subjects of science and philosophy, of which I know nothing; or at least occasionally abundant in quotations and allusions which a woman who, like me, knows only her own mother tongue, and has read little in that, would be totally without the power of giving. A classical education, or at any rate a very extensive acquaintance with English literature, ancient and modern, appears to me quite indispensable for the person who would do any justice to your clergyman; and I think I may boast myself to be, with all possible vanity, the most unlearned and uninformed female who ever dared to be an authoress. Do let us have an English clergyman after your fancy--much novelty may be introduced--show, dear Madam, what good would be done if tythes were taken away entirely, and describe him burying his own mother, as I did, because the High Priest of the Parish in which she died did not pay her remains the respect he ought to do. I have never recovered the shock. Carry your clergyman to sea as the friend of some distinguished naval character about a Court, you can then bring forward, like Le Sage, many interesting scenes of character and interest. Perhaps when you again appear in print you may chuse to dedicate your volumes to Prince Leopold: any historical romance, illustrative of the history of the august House of Cobourg, would just now be very interesting. You are very, very kind in your hints as to the sort of composition which might recommend me at present, and I am fully sensible that an historical romance, founded on the House of Saxe Cobourg, might be much more to the purpose of profit or popularity than such pictures of domestic life in country villages as I deal in. But I could no more write a romance than an epic poem. I could not sit seriously down to write a serious romance under any other motive than to save my life; and if it were indispensable for me to keep it up and never relax into laughing at myself or at other people, I am sure I should be hung before I had finished the first chapter. No, I must keep to my own style and go on in my own way, and though I may never succeed again in that, I am convinced that I should totally fail in any other.